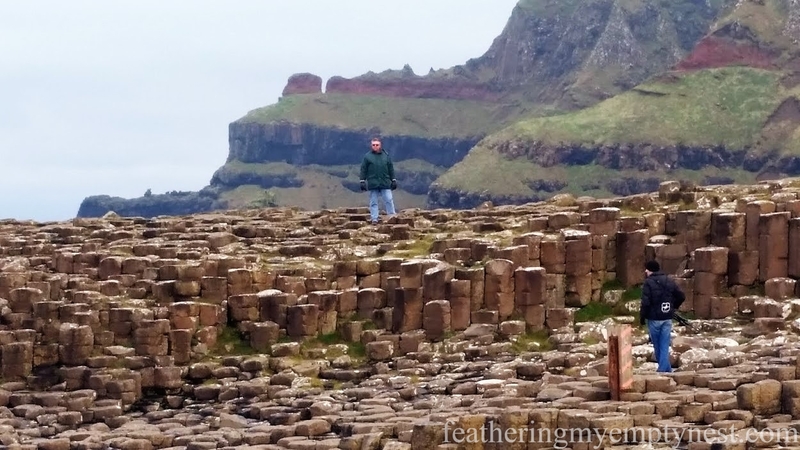 This week my mother, creator of Feathering My Empty Nest, invited me to write a guest post about my January Term study abroad trip to Ireland. I imagine she will come to regret providing such a platform for the ravings of a lunatic, but here we go. My story begins at JFK airport where our group of students met for our flight to Limerick. Our first stop after getting off the plane was Blarney Castle. The castle was where we saw the advantage of traveling in January, as opposed to a time when the weather might be more pleasant, as one of the biggest tourist traps in the whole country was totally deserted. Blarney Castle is a wonderful, fantastic deathtrap, complete with a poison garden and something called a “murder hole” (Google it, it’s delightful). 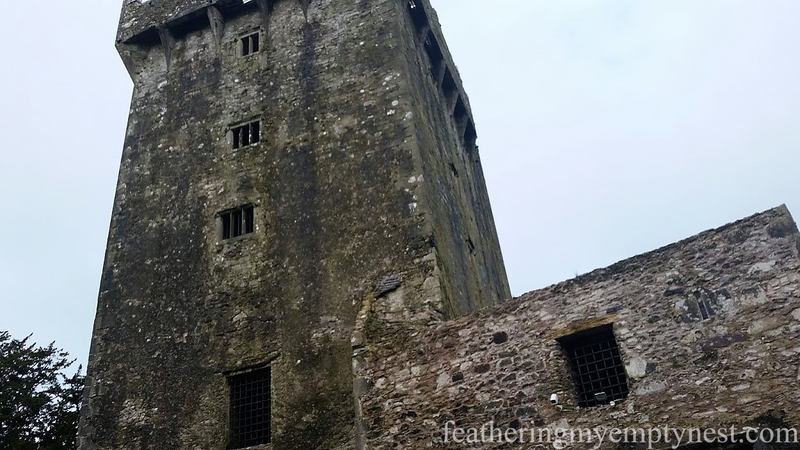 Before you ask, I did not, in fact, kiss the famous Blarney Stone. I believe that kissing the stone is a remarkably stupid thing to do for several reasons. For one thing, the stone is not conveniently located for kissing. To reach it you have to lie on your back on the roof of the castle, grab a metal bar behind you, and let a bored-looking Irish teenager push you a little bit over the edge. For another thing, the stone is not a place you want to put your mouth. I have been told that locals like to sneak up to the top of Blarney castle and urinate on the stone. Finally, it is a common misconception that kissing the stone will bring you luck. The actual legend is that kissing the stone will give you “the gift of gab” and frankly, I already talk too much, so I think I’m good on that front. Limerick isn’t much to write home about unless, like me, you fell in love with Frank McCourt’s Angela’s Ashes and have an interest in visiting South’s Pub, the bar where little Frankies’s father got blackout drunk every night. We only spent a day in Limerick before heading off to Galway followed by Sligo, Derry, Belfast, and ending up in Dublin. I highly recommend staying in Galway if you visit Southern Ireland. It’s a cool town with some fabulous pubs and, I’ve been told, some great live Irish music (if you like that sort of thing, which I do not). My day at the Cliffs of Moher was one of my favorite days. The cliffs are gorgeous, and you might be interested to know if you are a big nerd like me, that they are the site of the cave scene from Harry Potter and the Half-Blood Prince. The cliffs, like Blarney Castle, are usually very crowded but were almost entirely deserted when we were there in early January. However, be aware that the weather can be extremely unpredictable. The second we reached the top of the cliffs we were pelted by crazy high winds and hail. 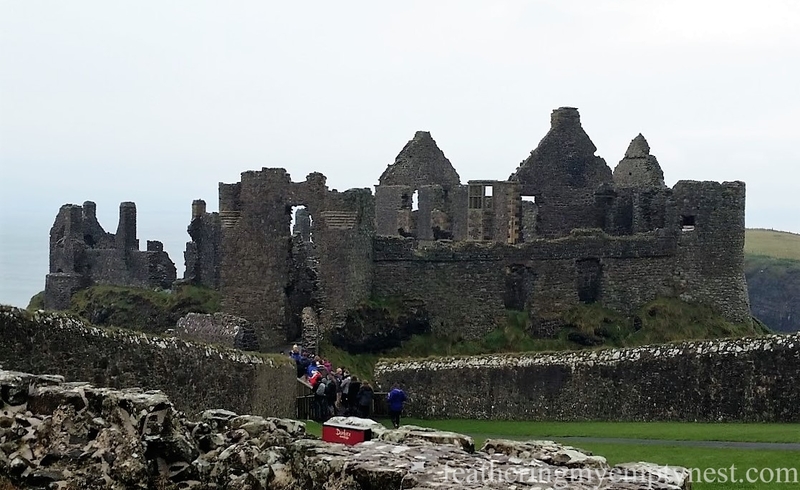 Dunluce Castle (also known as Cair Paravel from The Chronicles of Narnia) is absolutely worth a visit. It is also a good idea to hike down into the valley to have a look at the “mermaid cove.” It is a lovely vista with no actual mermaids as far as I could see. This is a very good thing because, from what I’ve heard, mermaids are just a bunch of terrifying mean girls. I’m not sure my picture of the Giant’s Causeway does it justice. Trust me when I say that it’s just really cool. Ireland is full of “beaches” that are just piles of rocks near the ocean, but this one is special. You can see all the way to Wales from there too. I have a couple of tips, should you choose to visit the Causeway. First, ask every Irish person you meet to tell you the legend of the giants, They will all have slightly different versions of the story and insist that whoever told you a different take was a dirty liar. Also, bring some change with you. The hike from the parking lot to the Causeway is long and steep. The way down is easy enough, and you can take in some lovely views. But by the time you are ready to head back up, you will be more than willing to shell out a couple of euros for the tram. In addition to rock beaches, Ireland is also full of graveyards that people will expect you to stop and marvel over everywhere you go. Luckily for me, I’m a big fan of all things creepy and therefore, love historic graveyards. The best one, by far, is at Glendalough which is the remains of an Early Medieval monastic site. It is loaded with atmosphere. Glendalough also has two walking trails, each of which leads to a waterfall. The upper waterfall trail is clearly marked. If, however, you choose to spare your knees the uphill hike, there is also a lower waterfall, but I would ask for directions to that one. My posse, led by my friends Max and Patrick, attempted to find it. Apparently, they went the wrong way, and we ended up at a dead-end in front of a massive boulder. At this point, Max and Patrick turned to the rest of us and said, “well ladies, here it is, the magnificent fabled Glenda-rock.” they are big goofs, but you have to admire their showmanship. Only a few years ago, taking the trip to Northern Ireland would have been too dangerous. I would still be a bit cautious in Derry (the university shelled out money for our meals at the hotel so we wouldn’t go out at night, if that tells you anything). However, Derry was one of my favorite towns. The city has seen so much violence and is still recovering. 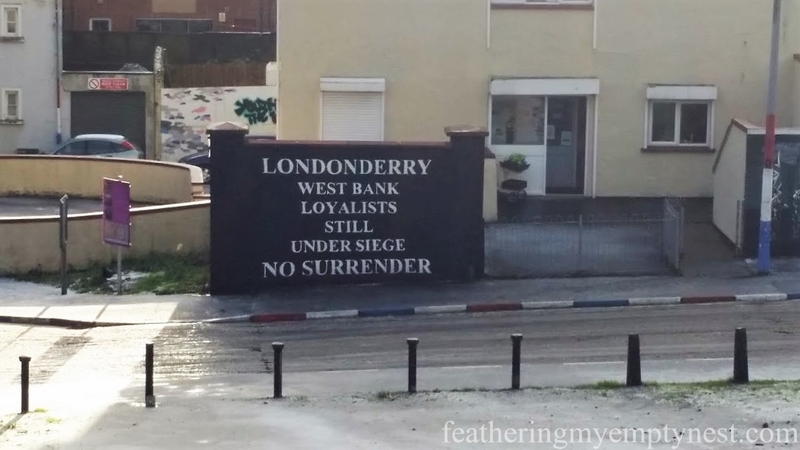 Many people living there remember well the 1972 shooting of peaceful protesters, immortalized in the U2 song, “Sunday, Bloody Sunday.” Both the Free Derry Museum and a tour of the walls (Derry is the last remaining completely walled city in Ireland) are well worth the trip. It is important to remember that Northern Ireland, unlike Southern Ireland, still uses the British pound and you will need to exchange your money. We ended our trip in Dublin, which is a beautiful and vibrant city living inside of a cloud of cigarette smoke. 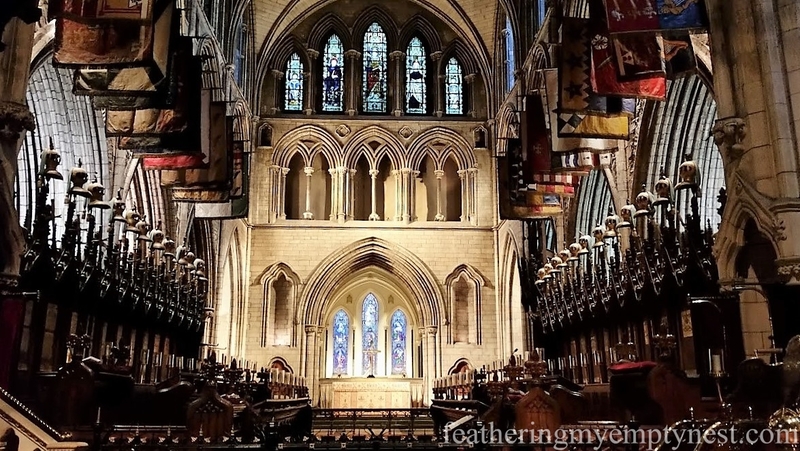 In Dublin, I saw a George Bernard Shaw comedy at the historic Abbey Theatre, visited the Dublin Writer’s Museum, and lit a candle at St Patrick’s Cathedral (which functions as equal parts museum and church)–all things I would recommend. 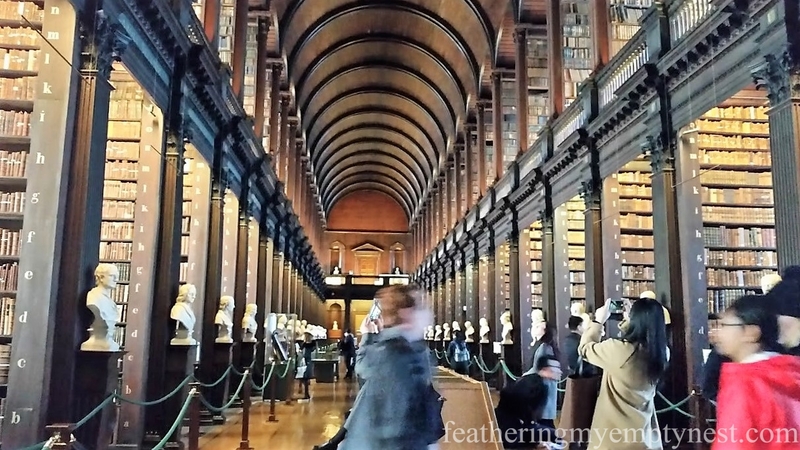 I would also highly recommend a trip to Trinity College to the Long Room of the library. It’s the prettiest place in the world, and someday I will live in it. The whole group was dragged on a trip to the Croke Park football stadium in Dublin for an afternoon. I was super bitter about having to go because I think soccer is stupid (fight me Europe) but I was pleasantly surprised. 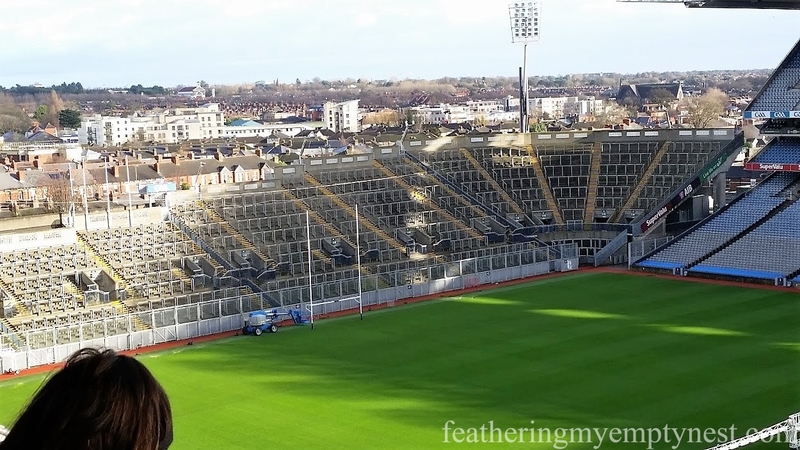 Croke Park is all kinds of historical, and our tour guide was a born storyteller, so it proved to have something of interest for everyone. So, this has been an abridged list of some of my favorite spots in Ireland. 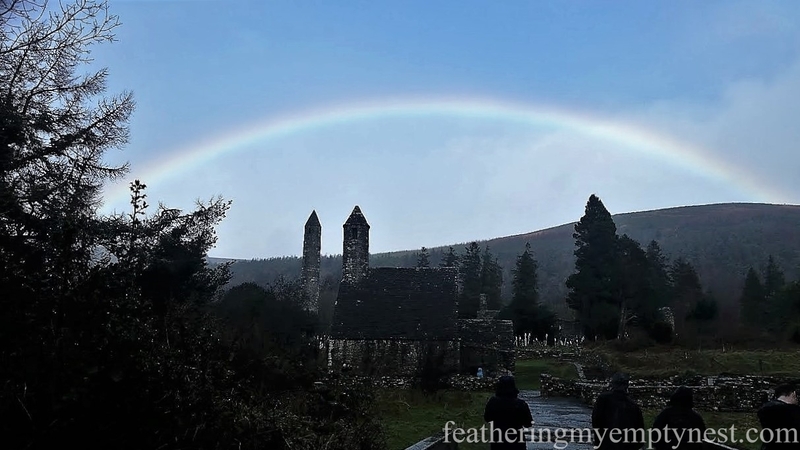 Other locations that I didn’t include here, but are worth visiting include: Inis Mor, Newgrange, and Kylemore Abbey (the Abbey itself is ok, but the drive through Connemara is spectacular). The Leprechaun Museum is also kind of fun (go during the day if you have children or teens in your group under eighteen, if not, go at night for the Nightland tour– which was “Addams Family”-creepy, not “Saw”-creepy). We will now return to your regularly scheduled programming. Enjoyed touring Ireland with you. 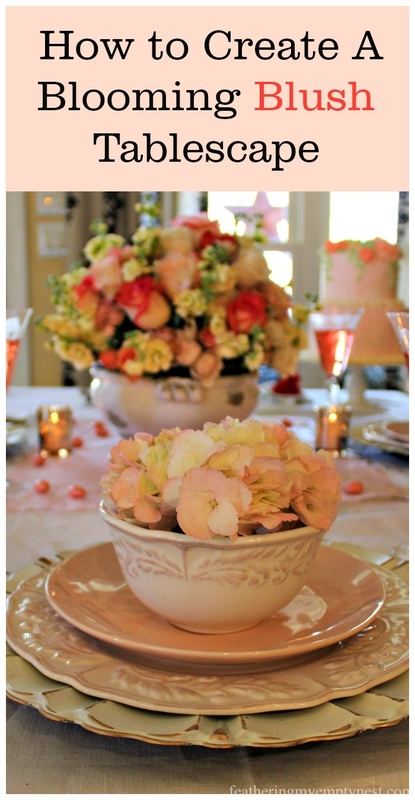 On behalf of my sassy guest contributor, thanks so much for commenting. Thanks for commenting. I agree with you. I have never really wanted to go to Ireland before but my daughter loved it and her photos make me want to go there too. I am planning an upcoming post on my trip to P.E.I., Canada, so I hope you will come back and check it out. Thanks so much for taking the time to comment on my daughter’s account of her Ireland trip. I hope you’ll visit my blog again. Thanks so much for commenting. My daughter is indeed sassy! Thank you for your comment on my daughter’s post. I hope you have a great time in Ireland. Maybe bring a wet nap along if you do kiss the Blarney Stone. I just booked flights to Ireland and this is such great travel inspiration for my trip! I am so glad. I hope you have a great trip. Erin go Bragh! Thanks so much for taking the time to comment on my daughter’s post. 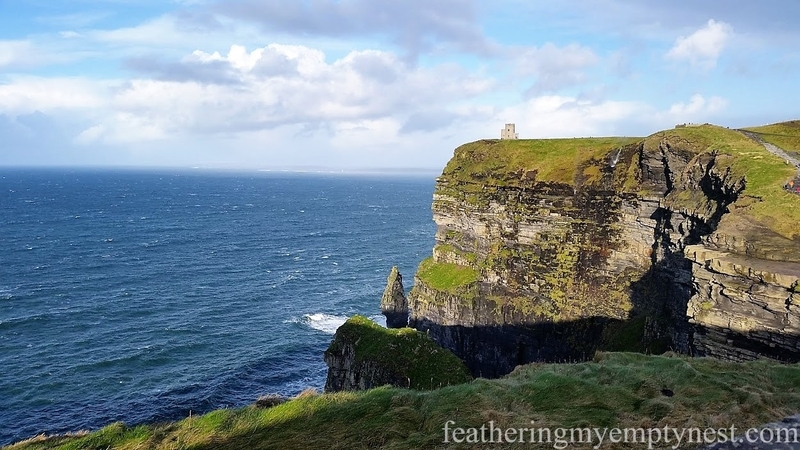 The Cliffs of Moher were her favorite, she still speaks of them in hushed and reverent tones. I fully enjoyed your blog post. I want to go to Ireland one day, and reading your adventures makes me want go even more. It was great to see Ireland through your eyes. Blogging is something you should try. Hello, thanks for linking to #TPThursday. Have a great weekend! Thank you so much and thanks for hosting! 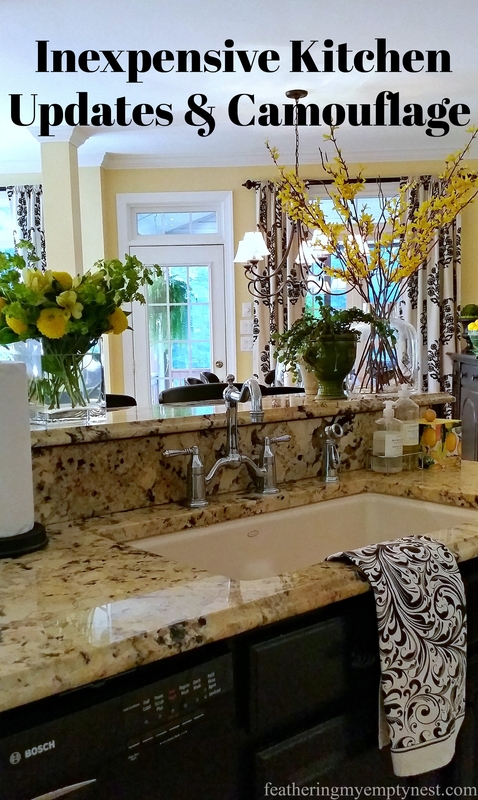 Thanks so much for visiting my blog and taking the time to comment. Love the photo of the Giant’s Causeway. Thank goodness the bad girl mermaids didn’t put in an appearance. Thanks for linking up with Travel Photo Thursday. Thanks so much for taking the time to comment on my daughter’s post her trip to Ireland. Having done quite a bit of research on Ireland and Irish history, I was hysterically laughing at this post. And, it makes me want to go to the Emerald Isle, even more. Grins, and you have a new subscriber. Thank you so much. I am delighted that you enjoyed the Ireland post and even more pleased that you have subscribed to my blog. Have a great weekend! Great post. I’ve always wanted to visit Ireland and you gave a great review of many of the places I’d like to see! Thank you for your kind words regarding my daughter’s post on Ireland. The trip was such a wonderful experience for her. I am definitely sold on Ireland and college trips abroad! Lisa your daughter is a natural at this blogging thing. Have her start her own blog and she can entertain us with her adventures and her wicked sense of humor. A great fun post! Thanks, Mary. I am so glad you enjoyed my daughter’s post about her college trip to Ireland. You have no idea just how entertaining she can be. I will pass along your suggestion about her starting a blog of her own. Thanks very much for your kind comment about my blog. I really appreciate it.